During an angioplasty procedure (without stenting), no stent (a small wire mesh) is implanted after widening the vessel with a balloon. The Angioplasty without Vascular Stenting procedure could involve the arteries of the neck, heart (coronary arteries), kidneys, the aorta, or the central veins in the chest and abdomen. Why is the Angioplasty without Vascular Stenting radiology procedure Performed? There have been no recent advances with respect to the Angioplasty (without Vascular Stenting) procedure. What is the Cost of performing the Angioplasty without Vascular Stenting radiology procedure? The cost of an Angioplasty without Vascular Stenting procedure depends on a variety of factors, such as the type of your health insurance, annual deductibles, co-pay requirements, out-of-network and in-network of your healthcare providers and healthcare facilities. How does the Angioplasty without Vascular Stenting radiology procedure work? 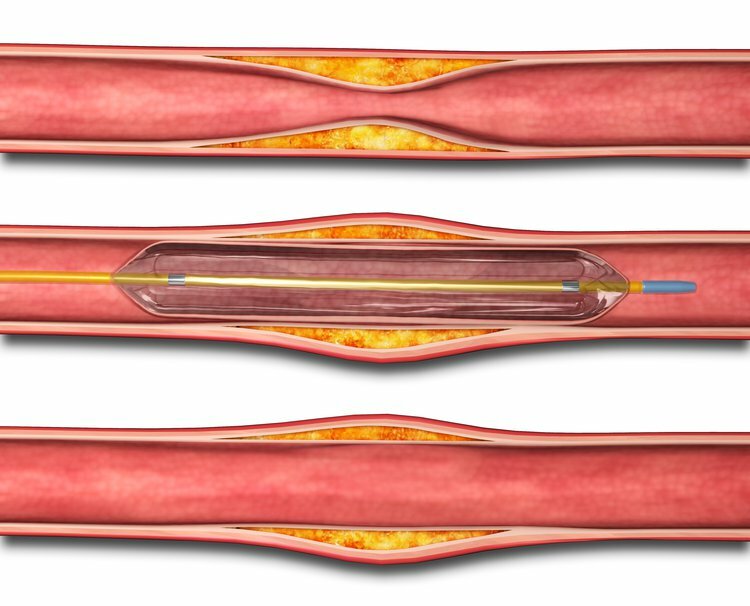 How is the Angioplasty without Vascular Stenting radiology procedure Performed? Angioplasty without Vascular Stenting is performed as an outpatient procedure, at a hospital. An interventional radiologist or a vascular surgeon performs the Angioplasty without Vascular Stenting procedure. If just one section of the artery is widened, the angioplasty procedure (without stenting), takes about 30-60 minutes. The interventional radiologist interprets the results of the Angioplasty without Vascular Stenting procedure, which is then informed to the patient by the healthcare provider. A physician will request your consent for an Angioplasty without Vascular Stenting procedure using an Informed Consent Form. What are the Limitations of the Angioplasty without Vascular Stenting radiology procedure? What is an Angioplasty without Vascular Stenting procedure? What is to be expected during the Angioplasty without Vascular Stenting radiology procedure? The patient is given general anesthesia for the Angioplasty without Vascular Stenting procedure. The Angioplasty without Vascular Stenting procedure is a minimally-invasive procedure. It involves little to no blood loss. What are the possible Risks and Complications during the Angioplasty without Vascular Stenting radiology procedure? What Post-Operative Care is needed at the Healthcare Facility after the Angioplasty without Vascular Stenting radiology procedure? Generally, there is no postoperative care necessary after Angioplasty without Vascular Stenting, at the healthcare facility. What is to be expected after the Angioplasty without Vascular Stenting radiology procedure? What Post-Operative Care is needed at Home after the Angioplasty without Vascular Stenting radiology procedure? Most individuals recover completely from the Angioplasty without Vascular Stenting procedure, after about 1 week. No tissue is extracted from the patient during an angioplasty procedure. Who will you receive a Bill from, after the Angioplasty without Vascular Stenting radiology procedure? The patient is advised to inquire and confirm the type of billing, before the Angioplasty without Vascular Stenting procedure is performed.